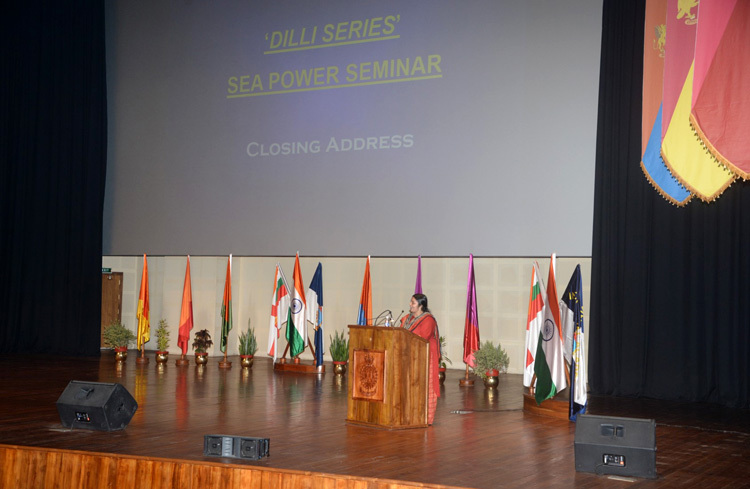 The fifth edition of the Dilli Series Seapower Seminar on "Geopolitical Impact of Sea Power" concluded today, Friday, 12 October 2018 at the Indian Naval Academy (INA). 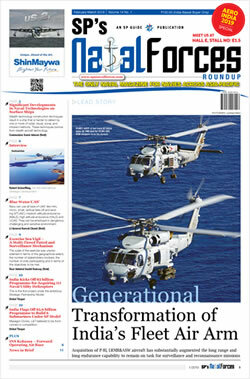 Nine papers were presented during the seminar covering various topics like 'Of places and Bases – How Naval Strategy for Trade Protection Impacted Anglo – French Colonial Rivalry in the Indian Ocean', 'The Battle of Diu', 'China's Belt and Road Initiative', 'Assessing China's Engagement in India's Maritime Neighborhood', 'Chinese Sea Power and the Belt and Road Initiative: A Mahanian Blueprint to Colonisation in the 21st Century' and 'Gunboat Diplomacy'. The two days event was attended by several serving and retired senior Naval Officers, eminent academicians and distinguished luminaries. The seminar proceedings on day two, chaired by RAdm SY Shrikhande, AVSM (Retd.) was centered on the topic 'Gunboat Diplomacy'. Cadets of INA presented a paper on the topic 'Gunboat Diplomacy: Emerging Players and Associated Challenges in the Indo Pacific Region'. The day also saw a mesmerising and insightful presentations on Gunboat Diplomacy by VAdm Pradeep Chauhan, AVSM & Bar, VSM, (Retd) (covering the prospects from 14th – 17th Century), Cmde G Prakash covering the topic from 17th century onwards and Cdr P Ratheesh discussing its application in the IOR. 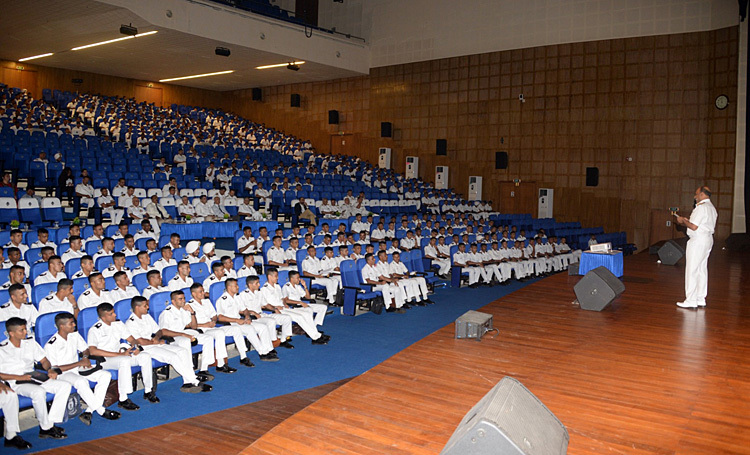 Rear Admiral Puneet Chadha, VSM, Deputy Commandant and Chief instructor, INA delivered the closing address and thanked all paper presenters, chairpersons, and eminent academicians and luminaries for the intellectually enriching experience provided to the audience, especially cadets at INA, through the high quality deliberations. Asst Prof Dr. Lalitha Sharma delivered the vote of thanks . 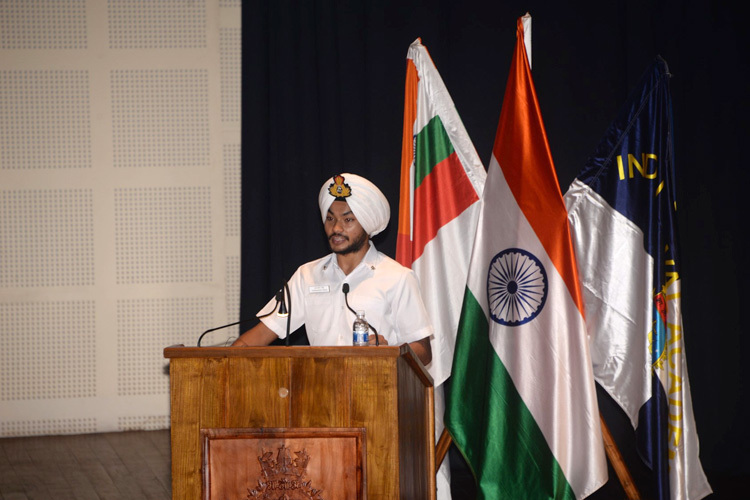 The Indian Naval Academy christened the Annual Seminar as the 'Dilli' series after Mount Dilli located at Ezhimala, which has been a witness to the developments of the maritime history of the region. The lighthouse insignia reflects the need to 'look back to see forward'. The seminar has been an enriching experience and the 'Dilli' series hopes to stimulate young officers and cadets to keep an eye on developments in the maritime domain whilst simultaneously laying a strong foundation of the past. 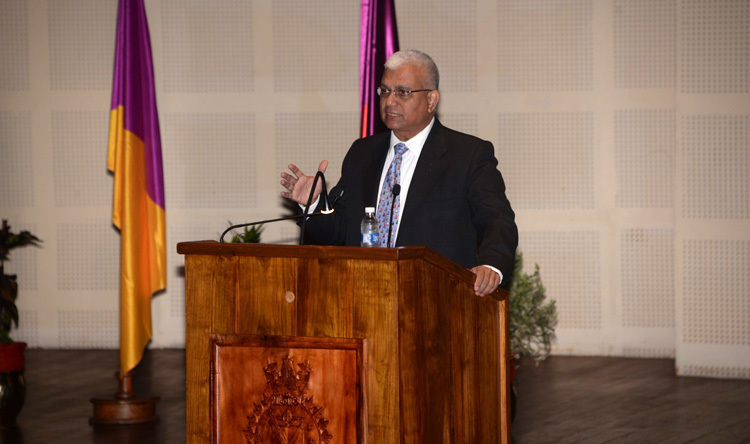 RAdm SY Shrikhande, AVSM (Retd. ), Chairperson delivering the opening address on the sub theme 'Gunboat Diplomacy'. Cdt Harman Deep Singh, presenting the cadet syndicate talk on topic 'Gunboat Diplomacy: Emerging Players and Associated Challenges in the Indo Pacific Region'. 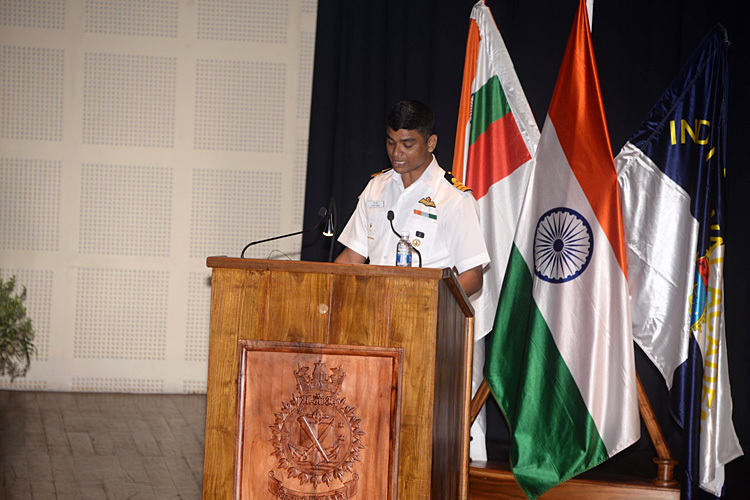 Cdr P Ratheesh delivering the talk on topic 'Gunboat Diplomacy – sea Power in IOR'. Cmde G Prakash delivering the talk on topic 'Gunboat Diplomacy'. RAdm SY Shrikhande, AVSM (Retd. 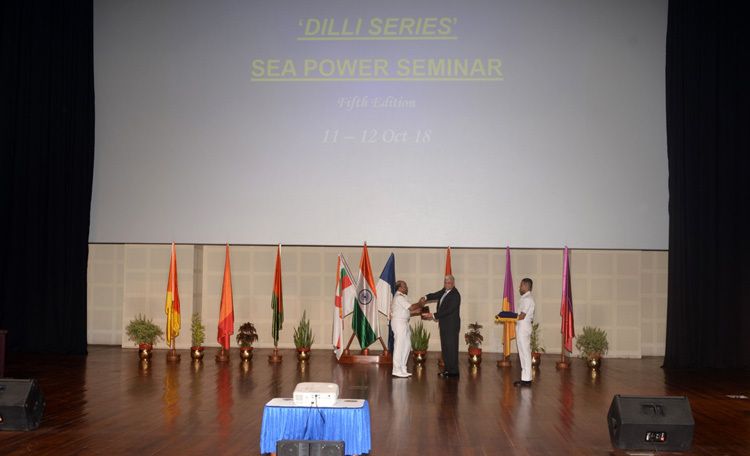 ), presenting the Dilli Series Seapower Seminar plaque to Cmde G Prakash. 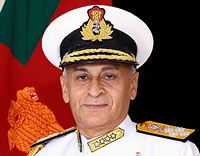 RAdm SY Shrikhande, AVSM (Retd. 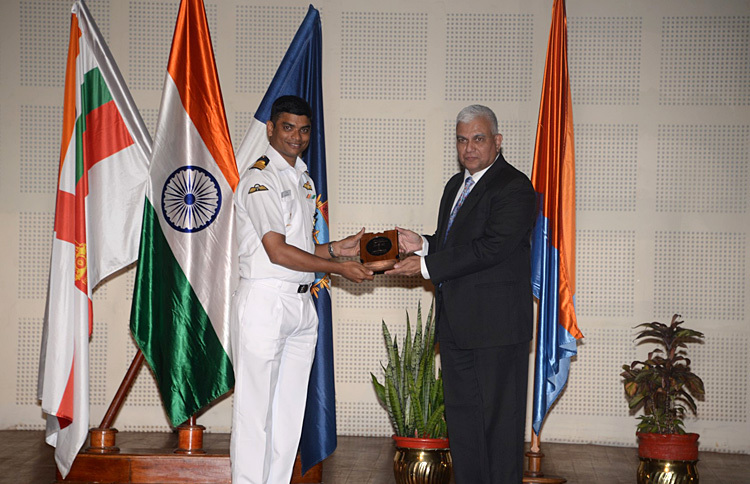 ),presenting the Dilli Series Seapower Seminar plaque to Cdr P Ratheesh. 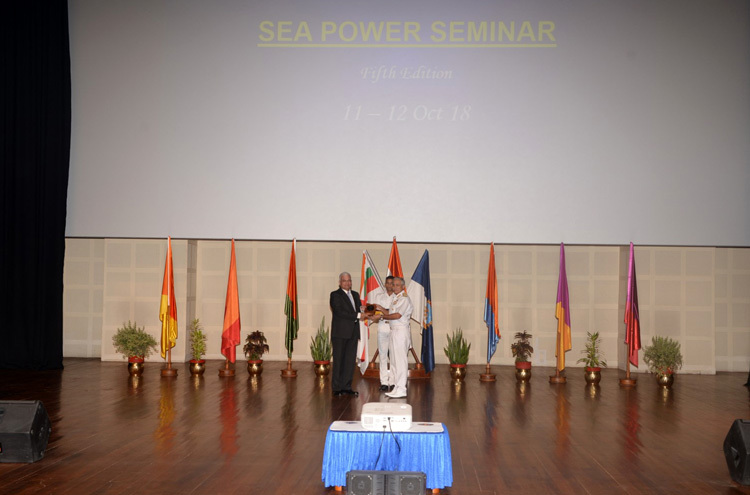 VAdm RB Pandit, AVSM, Commandant, INA presenting the Dilli Series Seapower Seminar plaque to RAdm SY Shrikhande, AVSM (Retd.). 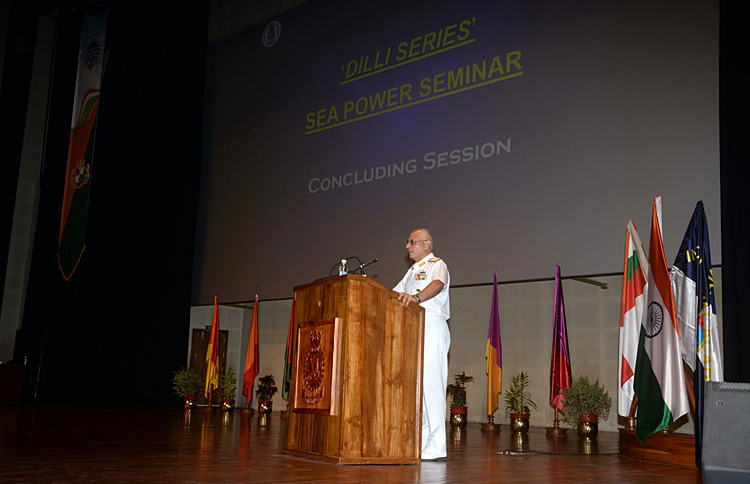 RAdm Puneet Chadha, VSM, Deputy Commandant, INA delivering the closing address of Dilli Series Seapower Seminar 2018. Asst Prof Dr. Lalitha Sharma delivering the vote of thanks.